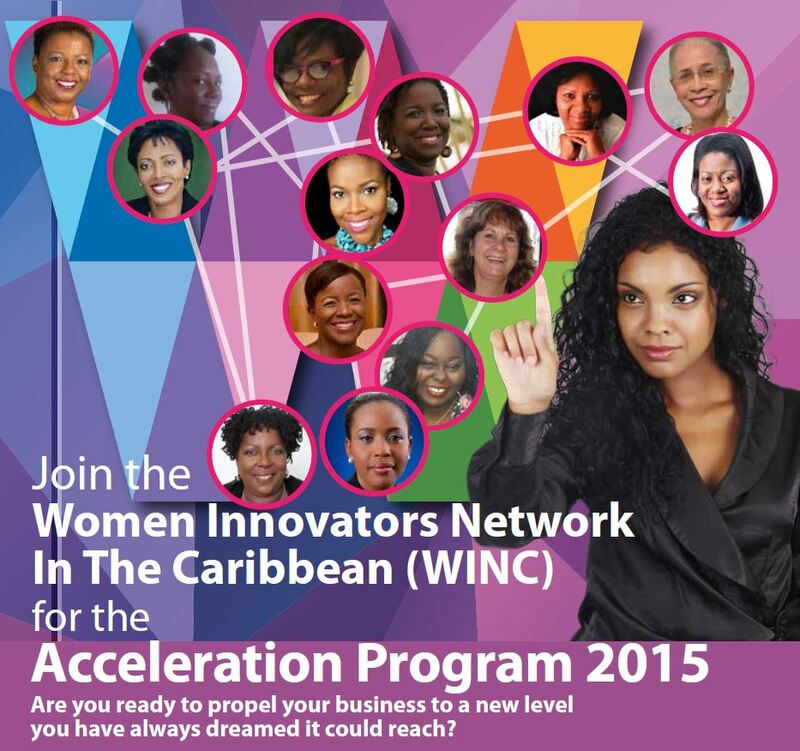 At the beginning of this year, I entered into WINC Acceleration Program - a new peer mentorship-based initiative to support high-potential women entrepreneurs in the Caribbean. The goal of the eight-month intensive Acceleration Program was to provide participants with a wide range of support services aimed at improving competitiveness and boosting our growth. This included peer-learning, personal development, one-to-one mentoring/coaching, technical workshops, and motivational sessions by entrepreneur role models. The new initiative was part of the Entrepreneurship Program for Innovation in the Program in the Caribbean (EPIC), funded by the Government of Canada and implemented by the World Bank Group and its infoDev program for entrepreneurship. It was delivered by certified facilitators in 12 Caribbean countries: Antigua & Barbuda, The Bahamas, Barbados, Belize, Dominica, Grenada, Guyana, Jamaica, Montserrat, St. Kitts & Nevis, Suriname, and Trinidad & Tobago. Luckily, my start up Island Sitters met this criteria, and after an intense application process, I was selected to participate along with 15 other female entrepreneurs in Barbados. I entered in to this programme with high hopes as I was facing many obstacles that were hindering growth in my business; ranging from payment system limitations in Barbados, to operations and mentorship. After 10 months, I am still facing many of these challenges and I now realise that perhaps I was relying too heavily on the programme and not my own problem solving skills to come up with the right solutions. However, I benefitted from this experience in so many unexpected ways. Entrepreneurship in Barbados is no bed of roses - in fact, it's often really challenging and downright annoying because of the roadblocks we face in this developing island. From rigid, overbearing banking systems, sexist and outdated attitudes towards women, to a lack of professionalism and accountability in many areas, it's pretty tough getting things done. Running your own business is a challenge no matter where you are, but there are certain things that business owners have to deal with in a developing region such as the Caribbean that are unfathomable in other countries. On the other hand, it is programmes such as WINC that reinforce the belief that Barbados is like a village; and it just as it takes a village to raise a child, it seems to take a village to run a successful business. The relationships you form become your support system, and I'm really grateful to have met such an inspiring group of women this year who lifted me up and taught me a lot about myself. From sharing experiences to offering advice, this group of business professionals gave me a sense of perspective, and often a greater sense of relief. Women entrepreneurs tend to be really hard on ourselves, and it's really comforting to know that others often go through the same things. In Barbados people are not very open and honest about failing, especially in business - as a society we tend to focus on successes and we often do not talk about the details of what people go through on the road to success. This group was very different; we discussed debt, relationships, betrayal and other juicy, scary stuff. Their shared experiences and knowledge helped me see things in a different light, and offered insight in to many areas of business that I have overlooked. As the youngest participant in this group, I also felt like I was meeting with a group of big sisters who were candid, honest and nurturing. One of the greatest aspects of the WINC programme was connecting with my mentor, Barbara. We were paired by the programme facilitator, based on my business goals and Barbara's business experience. From the moment we met I felt at ease, and we had many enjoyable mentoring sessions. I have tried to attract a nice mentor who understands me for some time now, and I was so lucky to have someone who not only let me be myself, but also understood my business and the steps I needed to take to help it grow. Our programme culminated with a graduation ceremony on Wednesday, during Global Entrepreneurship Week and Women's Entrepreneurship Day. As we stood on that stage, I looked across the stage at the women who I have gotten to know over the course of the year, and felt very lucky to be a part of such an empowering network. If you're a female entrepreneur who is looking to grow and scale your business, I encourage you to apply. Even if you're not sure, you can reach out to our Facilitator Donna Every, who can answer any questions you may have! Malou, you are spot on with your view of WINC's program. Tears came to my eyes how you have accurately captured my feelings and placed them in a blog for all to see. I could not have said it any better. Thank you.